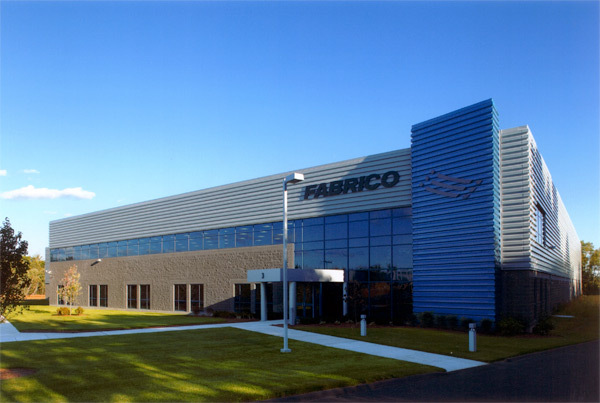 Specializing in close tolerance metal fabrications for the aerospace, marine, and food processing industry, this cost-effectively designed and well organized facility for Fabrico successfully integrates the architecture with its corporate philosophy of demanding quality and design. 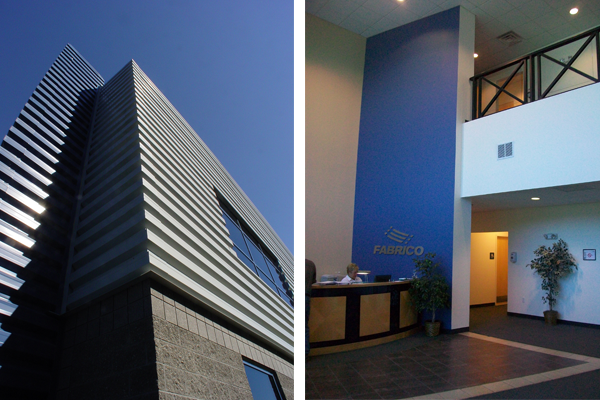 This new state of the art facility unifies Fabrico’s engineering headquarters, manufacturing, and warehousing operations. The bold horizontal lines of this building are created utilizing a combination of reflective metals, large window walls, and course masonry. Marking the entry, a contrasting blue rotated monolith acts as a marker for the main entrance and lobby. Interior spaces are designed using open space planning with shared glazing openings to allow for views from nearly all interior spaces. The use of rooftop skylights throughout the manufacturing department fills the space with a natural ambient light source, thus reducing the electrical operating cost while allowing a healthier work environment.